On Sunday, October 12 and Monday, October 13 the pottery doors are OPEN, as in OPEN HOUSE. I’m hoping that the weather will be nice enough to have refreshments and to display things outside. So far the forecast is looking fabulous! Come and see what’s been happening at the pottery over the summer at the Fall Open House at Mayo’s only pottery, Poterie LM Serafin Pottery. Experience the gorgeous countryside of West Quebec in all of it’s fall splendor and enjoy new works being presented – the fruits of this summer’s hard work in the pottery studio. It’s the perfect time to start collecting or adding to your collection of pottery by Lisa-Marie. For two days over the Thanksgiving long weekend – Sunday October 12th and Monday October 13th from 10:00 a.m. until 6:00 p.m. you can watch Lisa-Marie in action as she gives demonstrations on the potter’s wheel. You can also tour her pottery studio and see how pottery gets made; from a lump of wet clay to a finished piece. You can even try your hand at making a pot, so let your creative side come along for the ride! 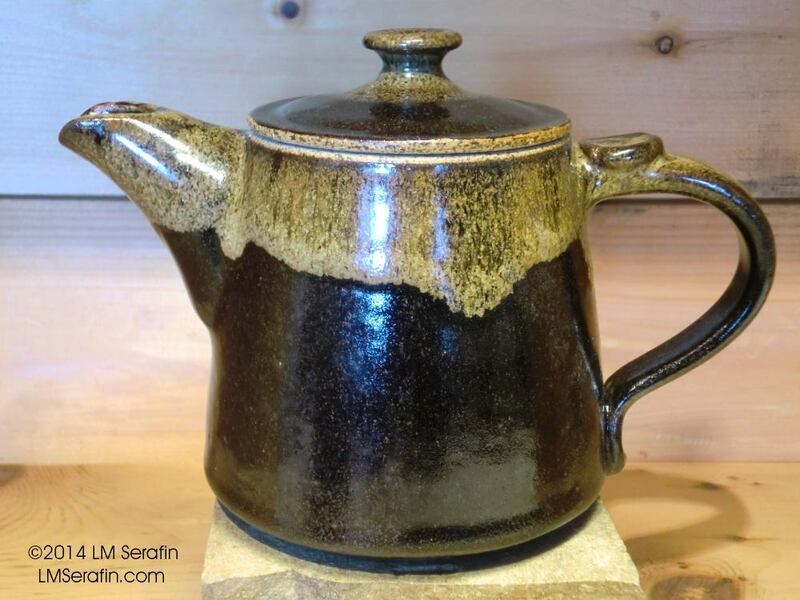 There will be refreshments (coffee, tea, home baked treats) and you can enter your name into the draw to win a $50 gift certificate to spend at Poterie LM Serafin Pottery. Mark your calendar and come on up and enjoy a weekend trip to the little pottery in the woods, Poterie LM Serafin Pottery on Sunday October 12th and Monday October 13th from 10:00 a.m. until 6:00 p.m both days.